Dead Horse Ranch State Park campground is adjacent to the Verde River and has 4 loops with 127 campsites for tents, trailers and RVs (100 large sites with water/electric hookups). There is also a 23-site group area (Raven Loop 201 to 223), and 8 cabins to rent. Campsites 111 to 127 are tent only. The campground has drinking water, flush toilets, showers, a picnic area/shelter, playground and dump station. It is located close to several hiking trails, fishing lagoons and the Verde River. Each campsite also has a table, fire ring and grate. Firewood is also available for sale from the camp host. Dead Horse Ranch State Park is a great basecamp to visit many state parks and attractions in the area. Some to consider include Jerome State Historic Park, Fort Verde State Historic Park, Red Rock State Park, Slide Rock State Park, Tuzigoot National Monument, and Montezuma Castle. The towns of Sedona (21 miles) and Jerome (10 miles are also nearby). Other campgrounds in the area include Potato Patch and Mingus Mountain to the west. 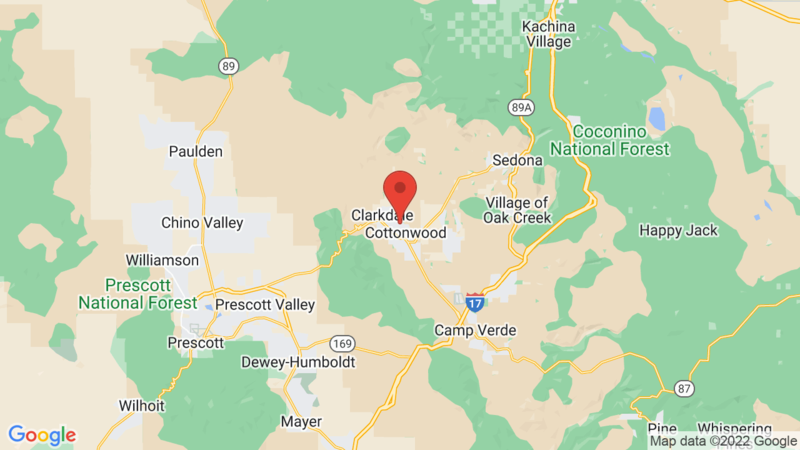 Manzanita, Cave Springs and Pine Flat campgrounds are also by Sedona. 6, 17, 21, 51, 59, 63, 64, 70, 81, 82, 92, 106, 107, 111, 116. Visted Dead Horse Ranch State Park Campground lately? We'd love to hear about your adventure. Did you find us useful? Did we forget something? 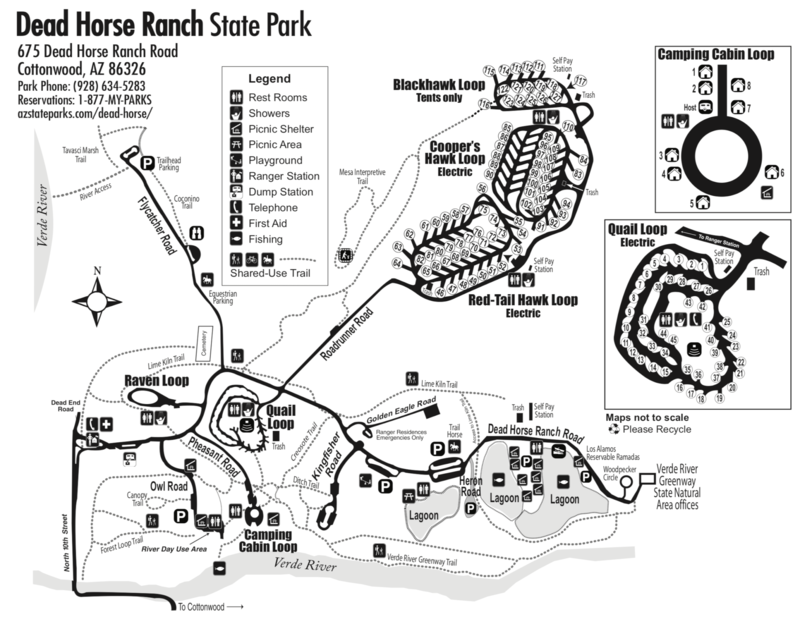 Anything our community should know before heading out to Dead Horse Ranch State Park?